Los Angeles is a lively city with tons of excitement, culture and good food. If you’re in a hurry and need a quick bite or a late night snack, LA is full of on the go options. Food trucks have swept the nation for creative cooks from all over to share their works of (food) art with everyone. 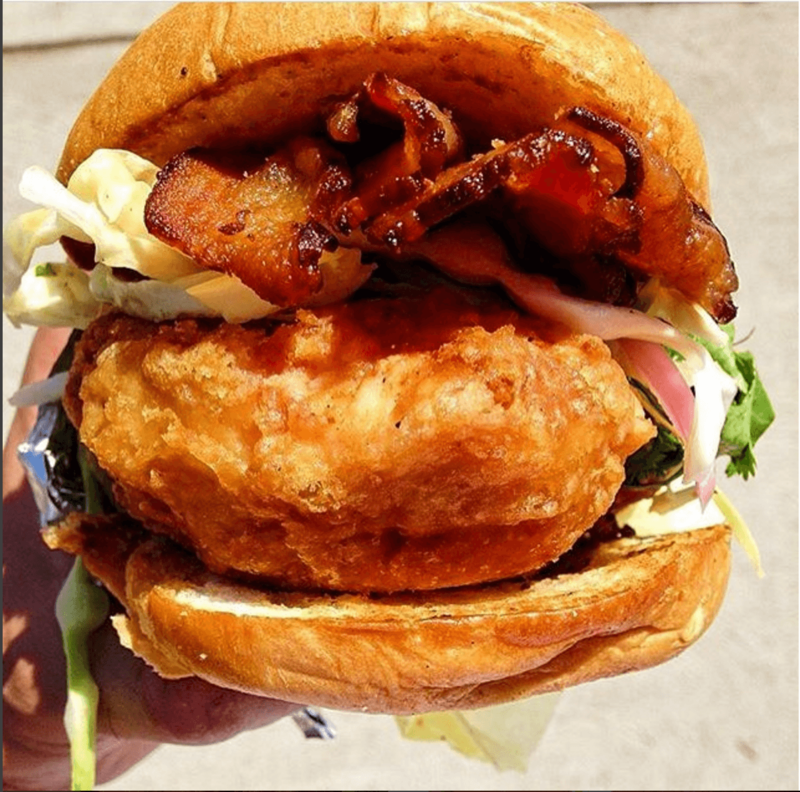 We’ve rounded up some of the top food trucks in L.A.
Must Try Food Trucks In L.A. 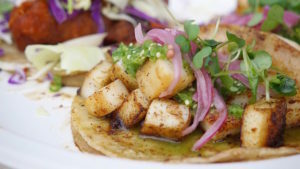 The west coast is known for tacos and if you’re new to the food truck scene you might think you’re getting a sort of “fast food” Taco Bell type taco. Well a must try food truck, Guerrilla Tacos will surely change your mind. Wes Avila is the mastermind behind the food. He’s a world class chef that’s trained with the best. However, experimenting with good food and creative flavor combos was his passion, and it’s a good thing for us! He’s always creating new, fresh, and tasty tacos. This company actually got it’s start by winning over an investor on Shark Tank. 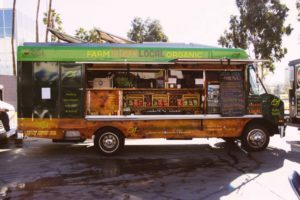 Now they’ve expanded their operation and have several food trucks flooding the L.A. area. 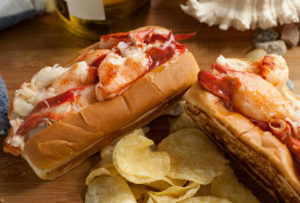 If you’re in the mood for lobster rolls, this is the truck to flag down. They dish up all kinds of specialty fish tacos, tots, and the fan favorite the lobster roll. The living healthy lifestyle is all the rage these days. Go green, superfoods, quinoa, and yoga. If you’re into it, then try the Green Truck. Serving all kinds of healthy options like veggie bowls, organic chicken sandwiches, and burgers. Vegan, Paleo and Gluten Free options are available! Kick it old school. This truck takes an all time childhood favorite and dolls it up for adults. For a grown up version of a grilled cheese try the Goat Cheese Melt, HERBED GOAT CHEESE WITH ROASTED PEPPERS, FRESH RED ONIONS, AVOCADO, AND FRESH SPINACH. 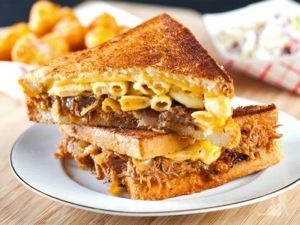 You can add in favorites like pulled pork, bacon, avocado and another childhood staple mac and cheese! The options are endless. Check it out. You haven’t had fried chicken until you’ve tried Free Range. They’ve got fresh chickens cooked to perfection. Super crispy and crunch on the outside with a moist meat inside. Start your day with a breakfast sandwich, fresh eggs, and fresh ingredients. You can stop back over for lunch and try their fried chicken sandwich with fresno chili slaw and a whole-grain mustard sauce. Starting their journey back in 2008. Kogi BBQ is of celebrity status. Mixing Korean and Mexican flavors, this food truck produces tacos, burritos, and quesadillas that are now an L.A. staple. Although there’s a ton more food trucks, these are just a few of our favorites. Let us know what you’re favorite food truck is! Upload a photo of your meal, rate it, and share on our app! No Replies to "Top Food Trucks In L.A."